The new science assessment is known the California Science Test or CAST. The alternate science assessment is known as California Alternate Assessment for Science or CAA-Science. Both CAST and CAA-Science are part of the larger statewide system of assessments know as CAASPP - the California Assessment of Performance and Progress. On December 10, 2018, CDE released the results from the 2018 administration of the CAST field test and CAA-Science Year 2 Pilot. The aggregate results are available on the CAASPP Results Web site at the state, county, LEA, and school levels for all students and by student groups. The results include a "preliminary indicator." Preliminary indicators offer a general indication of student content knowledge. The results include a percent of items answered correctly on machine-score items and an indicator category. They are not scale scores and are not achievement levels. The scores are also not comparable between students, schools, or LEAs, as not all students took the same test. It is important to remember that 2017/18 was a field test year. This means that the test was still in development when it was administered it to your students. This is normal. What is not normal is reporting these results to families because they are not precise enough to gauge performance at the student level. CDE is fulfilling a requirement by the federal government to provide results to families. The preliminary indicators may be used to inform LEAs about the progress of local implementation of CA NGSS. Results should be leveraged where possible to advocate for additional investment in the implementation of the standards, including professional development. A complete timeline of the release of the preliminary indicators, including the audience and agency responsible for distributing the information is available from CDE. LEAs are responsible for providing assessment preliminary indicators to parents/guardians. Access the Toolkit A timeline for the release of the test results is also available. *LEA's will have discretion as to when to administer the operational assessments in grades 10, 11, or 12. See respective information pages for more information. 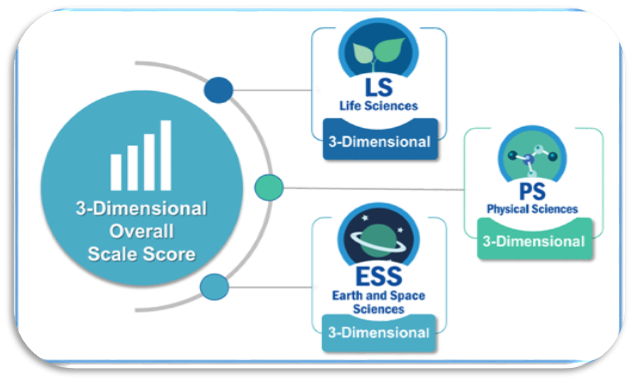 Since their initial release in 2013, there has been a great deal of effort put forward to develop assessments of all types aligned to the Next Generation Science Standards (NGSS). Here are a few resources relating to assessing NGSS that may prove useful. Their inclusion in this list is does not constitute an endorsement or a recommendation from CSTA. Please evaluate each resource carefully. Scroll down for information about California's statewide summative assessment. On November 8, 2017 the California State Board of Education voted to approve a revision to the high-level test design for the California Next Generation Science Standards General Summative Assessment - known as the CAST. *Includes foundational concepts that are addressed in kindergarten through grade two (K-2).